On April 28, 2016, MZMC organized the captioned event in cooperation with Yum Gather Cuisine Fashion. The event took place in Vista Baking School located in San Li Tun, Beijing’s most famous shopping centre and favorite rendezvous for young Chinese white-collar workers and expatriates. About 40 representatives from life-style, food and wellness magazines, as well as food bloggers attended the event. 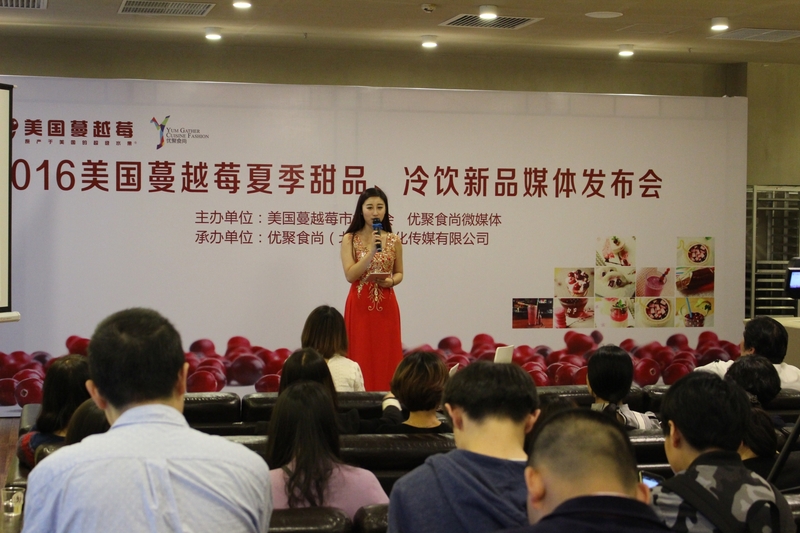 At the start of the event, Leeann Lin of MZMC gave a presentation on US Cranberry. 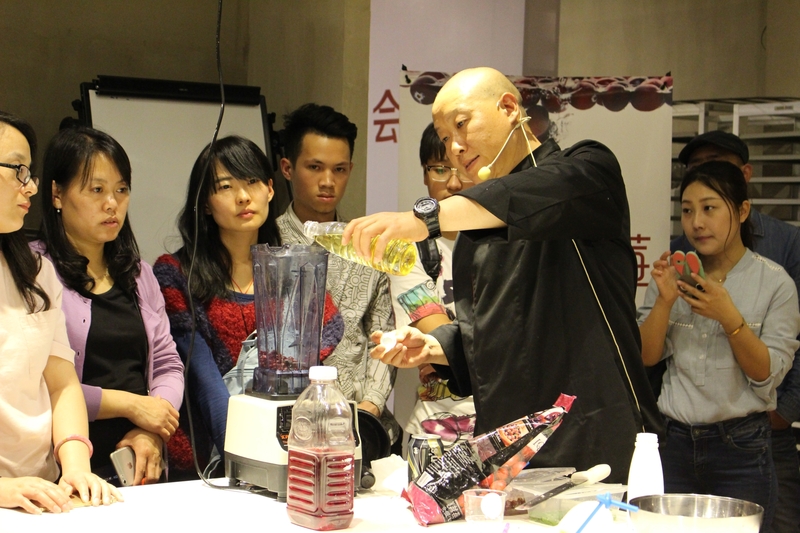 Mr. Su Dong Po, a former chef at major hotels and now a new style cuisine developer and consultant to major hotels and food manufacturers, demonstrated to the visitors how to prepare different summer drinks and desserts using cranberries as ingredients. The new summer drinks included Cranberry Mojito, Cranberry Sparkling Drink, Cranberry Salted Fruit Tea, and Cranberry Coconut Drink with Fruit Chunks. Desserts included Cranberry Ice-cream, Cranberry Popsicle, Cranberry Egg Custard Tarts, Petit Cakes with Cranberry Cream, French Macarons with Cranberry Cream and Cranberry Cream Puffs. The visitors not only saw how these drinks and desserts were made but also have the chance to taste them. Mr. Su explained to the visitors that cranberries are very versatile in food preparations, making cakes, pastries and drinks in particular. He said that cranberries make better ingredients than other types of berries. He also explained how to use emulsifiers and the right kind of sugar to avoid separation in juice drinks.